Great gift idea for dollhouse and miniature collectors! 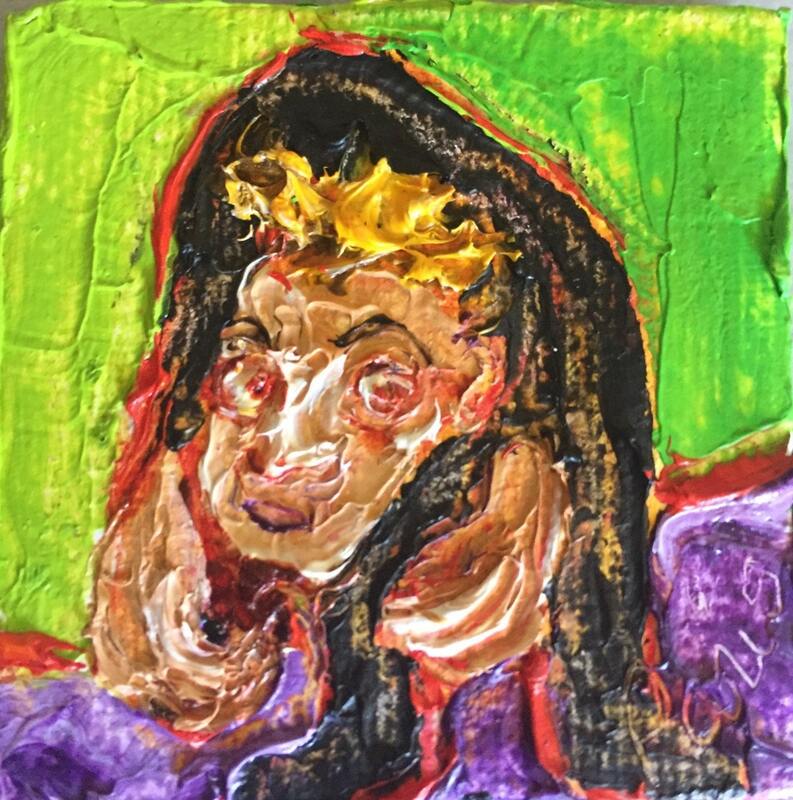 This painting is miniature and only measures 2x2 inches! . 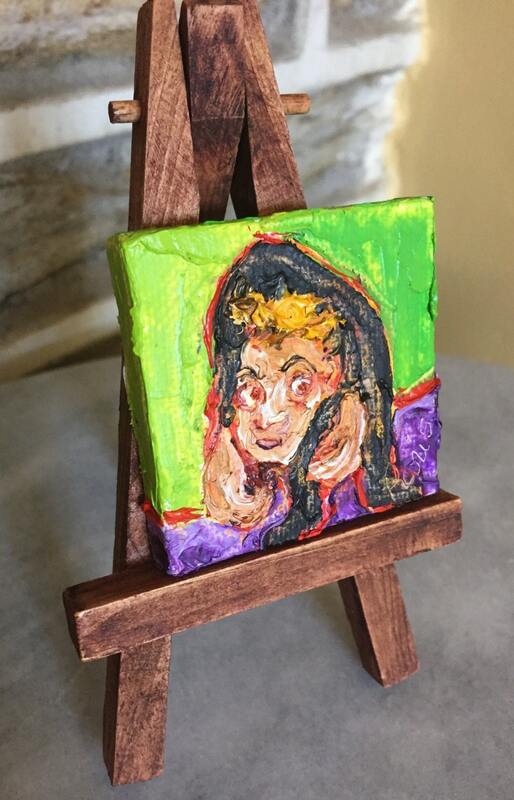 A miniature Easel is included with your purchase. Please choose your easel color from the variations drop down tab before adding it to cart. Stains are available by request. If you would like anything other than what is listed, please choose custom in the variations tab and specify in a message to me during checkout. 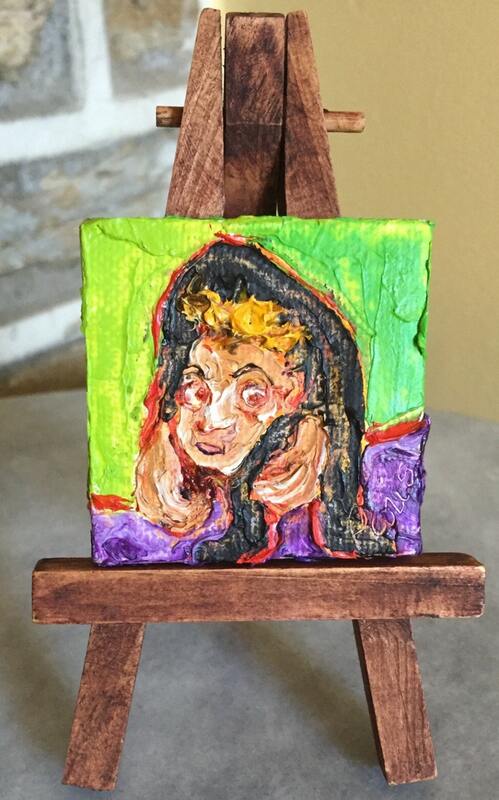 'Egor Huchback Halloween mini' original oil painting by Paris Wyatt Llanso. This piece measures 2x2 inches. 'Egor Hunchback Halloween mini' has thick applications of premium oil paints and high relief. The Image is wrapped around edges, eliminating the need for a frame. It may still be framed at your discretion. Paris Wyatt Llanso is a classically trained fine artist and children's book illustrator.